Win is What We Do by O.V. Brantley, 2007. I always tried to instill in my staff that it is possible to win without being angry, to win while having fun, and to win while having balance in your life. Win is What We Do was the last signature quilt I made for my staff at the Fulton County Attorney’s Office. Each staff member signed a block. 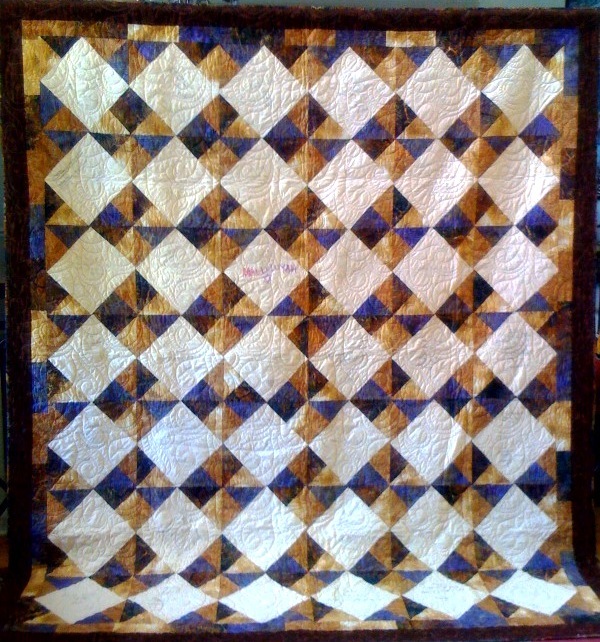 This quilt is part of my personal collection of heirloom quilts. It serves as a reminder that winning with joy is far better than winning wth anger. « Why Are Lawyers So Angry?